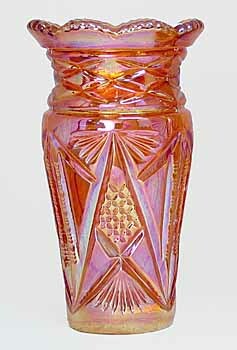 Made by the Swedish glass manufacturer, Eda. This 6-inch tall vase sold for $600 in 2002. A blue example sold in 2004 for $1,450. In 2009, 6-inch examples in blue and marigold brought $335 and $135, respectively. Also reported by Glen and Stephen Thistlewood in a small jardiniere. 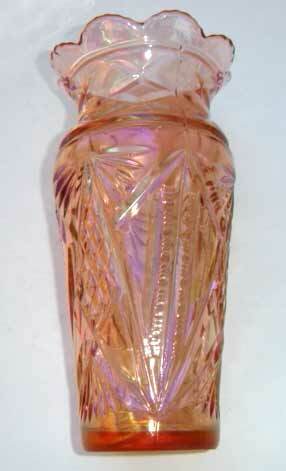 In 2005, George Webb sent me this photo of a Nanna vase in pink. It is 8 inches tall and has a beautiful pastel iridescense.